Universal Pictures has released a featurette that showcases some of the cast of Us talking about the movie, with a bunch of haunting footage sprinkled in. They still seem to be playing this one very close to the vest and want to keep the secrets under lock and key until audiences get the chance to see it for themselves over the weekend. In the featurette, star Lupita Nyong'O sings her praises for director Jordan Peele and his vision. Here's what she has to say. "This is an intense and all-consuming movie to be a part of. Jordan has this way of creating terrifying moments. It was very scary for me to play both the hero and the villain, and to pursue both of their objectives... Jordan is making his favorite movie all of the time, so that passion, that kind of enthusiasm, is infectious. I would work with him again, and again, and again." While Get Out was billed as a "social thriller," it's been promised by Jordan Peele himself that this is a straight-up horror movie. So this is going to be a decidedly different movie than his Oscar-winning breakthrough. Winston Duke, who also stars, had this to say in the featurette. "You're just joining a really creative and brilliant mind who trusts you to augment the world that he's created." As it stands, things are looking very good for Us on all fronts. Following its debut at the SXSW film festival in Austin, Texas last week, the movie still holds an unblemished, absolutely perfect 100 percent approval rating on Rotten Tomatoes with more than 60 reviews. That's pretty amazing. Eventually, there is almost certainly going to be someone that comes along and messes that up. Point being, it very much seems like Jordan Peele has avoided the dreaded sophomore slump. The cast also includes Tim Heidecker, Elisabeth Moss, Shahadi Wright Joseph and Alex Evans. By all early accounts, we've got the makings of a new, modern horror master. 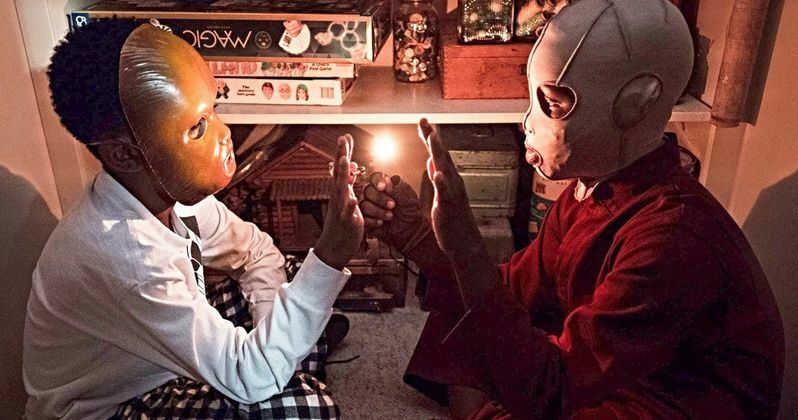 It's also looking very good for this movie's prospects at the box office this weekend, meaning we can expect a lot more from Jordan Peele in the future. Us is set to arrive in theaters on March 22. Be sure to check out the new featurette from the Universal Pictures YouTube channel below.